Death by a thousand paper cuts comes to mind when summarizing the beatdown levied by Chris White on the long running Sci-Fi documentary named “Ancient Aliens” by The (so called) History Channel. In Ancient Aliens: Debunked, the producers point out the deception used to help make points being made by people like that guy with the “hair” is revealed in this 3 hour documentary. The ancient astronaut theory gets its day in court when it comes to alternative perspectives and criticism. We here on the VizFact Dot Com network have already noticed how The History Channel goes to great lengths to destroy the concept of God, and do their part to bring in the whole new age nonsense. Ancient buildings and mysterious locations are touched upon, as well as the problems with ancient text, and crystal skulls. 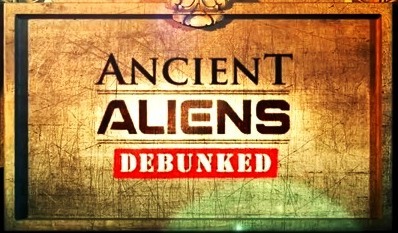 Ancient Aliens Debunked refutes every single point made by the History Channel series. Pumapunku was immediately refuted as being built by space aliens. The stones are not granite, as claimed in the series. False dilemmas are the basis of most the active deception practices used in the Ancient Alien Television series. There’s plenty of evidence to show that ancient structures which may be thought to have been machined, were not. This claim is based on evidence in the immediate area of these ancient controversial structures. The ancients had the ability to make strong metal tools. 90 degree angles do not require alien technology from outer space. Although the stones at Pumapunku had areas on them for ropes and hoisting, The Ancient Aliens series claims levitation was needed to move rocks. Tiwanaku is not 14000 years old, its only a few thousands years. Sawing granite with sand and copper is easy in contrast to needing diamond tipped saws as stated in the ancient Aliens Series. This film also features the best theory for how the Great Pyramids were built. A theory which isn’t given much airtime. The ancient city of Baalbek, in eastern Lebanon, is also reviewed. Moving big stones wasn’t a big deal to the Romans, they had pulleys, and wheels. Incan sites used to help exaggerate claims made in the Ancient Aliens series is also neutralized. Easter Island was also reviewed, and revealed, as once having trees until the island was deforested likely to move the statues that Easter Island is known for. Nazca lines were made by walking along paths as a form of worship. The Egyptian light-bulb was rationally explained. You wouldn’t think its debunkable, but… it is. Spaceships, and UFO’s in crucifixion paintings are masterfully explained, and historically sourced. Crystal skulls have been deemed fake. The Mitchell Hedges skull is also a fake which was purchased at an auction before its rise to fame. Tools to make Crystal Skulls have been around since the 1800’s. Ancient nuclear wars have also been debunked in this documentary. The talking heads, and even some of the episodes in the Ancient Aliens Series, contradict themselves. 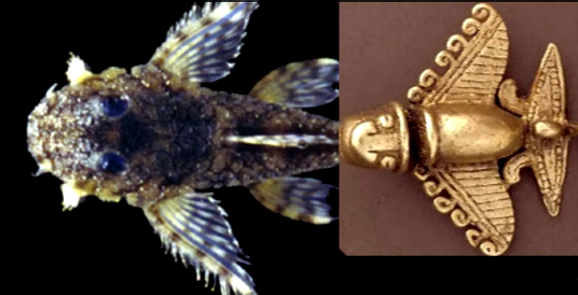 See the video for more interesting revelations about the “Ancient Alien” theory.